Celestia's mate was a very busy person. He could be gone for long lengths of time fulfilling his work. But every once in awhile she could convince him to stay home and spend some time with her sometimes with the promise of some passionate time in the bed. Celestia loved Svadilfare very much and enjoyed affectionately showing him. Celestia woke up one morning and found herself in her dragon from up against their bed and uncomfortably on her side. "What the..." She whispered out loud. She could have sworn she went to bed snuggled up against Svad as a human. She never slept in the house as a dragon. Whatever wasn't worth the brain power haven just woken up. Just shift back and snuggle back up........Celestia became a little scared when she wasn't shifting back. She tried but nothing was happening. Oh no could her locked up magic have caused her form to lock up. No that didn't make any sense. She had made her human form as natural as her dragon it wasn't sustained by magic. 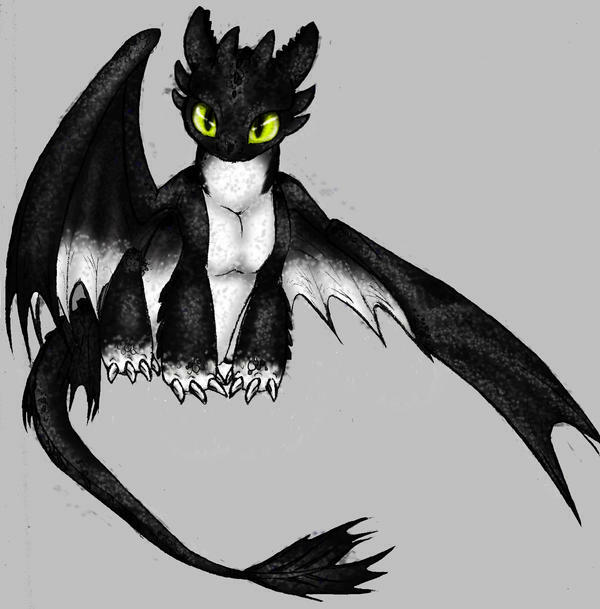 The black dragon leaned up against the bed the small portion of her weight causing it to creak in strain. "Svad." She said trying to wake him up. Her voice was a little uneasy with worry. She'd prod him with her head flipping him if he was a heavy sleeper. The nuzzling was quite nice. Svad almost stopped paying attention when Cele was explaining the intricacies of magic in regards to shapeshifting. Actually, he didn't even answer her. Not even when she said she was helping dragonkind by bringing five new kids into the world. Her last comment and the tone she used when saying it, however, got his attention. He opened his eyes--and before this moment didn't even realize they had been closed--and looked at her. "You could... but I think we ought to wait until these little ones have at least hatched." Svadilfare smiled as the last little Hatchling got out of their egg. He smiled more when Cele wrapped her wing around him. He wrapped his arms around her and hugged her. "We make some pretty adorable children, don't we?" It was dark and really cramped. There was no sound but her own breathing. She wanted out of this space she was in, to stretch her--what were they called? Legs? That sounds right; okay, legs. But how could she get out? Something told her to tap against the wall of her enclosure. But she had no room to move her legs. Maybe she could use... Now what do you call this thing? A nose? That's not quite it... a... snout? Sure, a snout. So she used the end of her snout. it seemed to take forever an she thought about giving up and trying something else. But suddenly, the wall gave way and and the things on her--face?--stung. Eyes. Well that's a new word, where did that come from? Anyway, her eyes were temporarily blinded by this harsh light coming from the other side of the dark wall. She kept tapping at it with her snout and soon more gave way. Soon, she was able to move her legs and that made her escape go faster. Finally, she fell over as her enclosure tipped. She didn't know what she landed on. It was warm and it moved. And then she heard something. "Elara" She didn't know who said it or what it meant, but for some strange reason, she felt like it meant for her. But suddenly she was really tired. She wanted to go back to sleep. She opened her... maw? Mouth? No, maw was right. She opened her maw and yawned then tried to sleep. The only problem was the thing she had landed on was still moving around. It moved so much she found herself toppling over again. The young blue eyed girl walked purposefully through the forest. "Blue flower, red thorns. Blue flower, red thorns." She was looking for a particular plant which leafs were good for tea. And right as she found it a red flag went off in her brain. Not because of the plant but because of something she heard. Her hearing was nothing compared to her dragon form and she could hear the disturbance of air. There was a dragon nearby, a large one that definitely wasn't her family who were all innately stealthy. Shifting to her dragon from Andromeda leapt into the air and went to hover over the treeline a little unsteadily. Hovering was hard. Yup sure enough a large probably 30 foot lightwing if she remembered right from mom's description. Oh crap it spotted her and was changing course to head straight for her. Scared Andromeda ducked back below the tree line and searched for somewhere to hide on the ground. After a few moments the lightwings landed causing the forest to rumble in protest. It began searching for her, but wasn't having a whole lot of luck. "Hey little one. Don't be afraid. I'm not here to hurt you. Where are your parents at?" Andromeda slowly crept out of her hiding spot. "No they're a ways away." Andromeda said not wanting to lead this big dragon back to her home. The dragon scoffed upset such a young dragon would be left out here unsupervised. "Well you better go back to them as soon as possible. It's not safe here. This is very close to where the humans live. I'll help you get back to them." Andromeda was confused. Mom and dad had always said not to show her human form to dragons and not to show her dragon form to humans. Now she was wondering why. "What's wrong with the humans? The lightwing was a little taken aback. Never had she heard that question out of any dragon's mouth. How far dragons have fallen that or her parents were terrible. The lightwing was beginning to thing the later. "They are bad they kill dragons they will kill you the moment they see you." "No they won't." Andromeda said shifting into her human form right in front of the lightwing. "They're my friends." The lightwing snarled and then transitioned to a threatening growl scaring Andromeda. "What manner of demon are you?" "I'm not a demon." Andromeda whimpered. She transitioned to her other dimension out of fear and a good thing too because at that moment the lightwing fired at her burning rays which passed harmlessly through her. Terrified Andromeda shifted to her dragon form and flew out of there leaving the visual dimension as well. Some time latter Andromeda was back in her human form in the village of Kryo. She was out looking for some friends and she found them grouped up bouncing some sort of squishy ball with an outer layer of finely woven straw on their heels. "Hey guys. Guess what guess what?" They all looked at her expectantly. "I found a dragon in the woods!" She said excitedly. She received mixed reactions. Some of them seemed scared of this revelation and only a couple seemed excited by it. "Did you kill it?" "What, no....why?" The kids just looked at her funny like she was weird for wondering why you should kill a dragon. Andromeda made her way back home and found her parents cooking something in the dinning area. She went up and tugged on Celestia's shirt. Celestia looked over. "yes sweetie?" "Mom am I a demon?" Aurora crouched low as she stalked her target. It was a juvenile allosouraus about the size of a ceratosaurus and still a lot larger than herself. She wanted the challenge though. Creatures that were her same size or smaller as her mother instructed her to hunt were boring. She wasn't hungry though, she just wanted to play and her siblings were no challenge either. Perfect that's close enough! Aurora leapt into the air spreading her wings to glide a very small distance before closing them up again and latching on to it's back. Naturally it began bucking and thrashing. It was hard to stay on without ripping it's back up with her claws so she allowed herself to get tossed off. The beast roared at her and huffed before charging. "Hah!" Aurora leapt a small distance and rolled. "Primitive." She mocked. The allosour charged again but this time at the end of it's charge it swiped it's powerful tail at her. She jumped into the air to avoid it but didn't bring her tail up in time. The force of the hit on her rear appendage forced her into an awkward landing and the beast followed up by reaching for a bite on her wing which was slightly extended to help her balance her not as planned fall. She managed to block him with her front foot so he bite that instead. Aurora screamed out in pain as this much larger creature was able to easily pierce her armored scales. He began thrashing to do more damage. Aurora super charged her body with electricity near instantly frying the allo's nervous system including it's brain and upon the electric discharge it got knocked into the air and away from her. "Why did you have to go and bite me." Aurora said between painful whines as she limped to where it had landed. "I wasn't going to hurt you." She said as she batted it with her tail to try and get it to wake up. It didn't get up though. It didn't stir at all. She didn't understand she didn't bite it's neck or eat it for food. It shouldn't be dead. She played with other creatures all the time and they were fine. Quickly Aurora took tried to take off to go back to her parents. She painfully fumbled on her first attempt without the assistance of one of her legs to help her jump or get some speed. Something similar happened when she tried landing and flipped over herself yelping in pain. Celestia was out the door and running to her before Aurora hardly got up. "Oh no what in the blazes happened to you?" Celestia questioned greatly concerned for her daughter and greatly pissed at whatever did this. "It was just an allosouraus I was playing with but it didn't know I was just playing." "An allosouraus?" Celesta said with a small bit of shock. "You know you aren't suppose to be fighting anything bigger than yourself!" She scolded. "I know. I'm sorry mom. But I think he's hurt. I don't want anything to happen to him. I was just playing." Celestia shifted to her dragon form and began licking Aurora's wounds. She wished she had her magic to just heal this all up. When she sealed her own powers away she just wanted a mortal life for herself she didn't think of what torture it would be for herself if she had children and had to watch them suffer. "Was it moving when you left? Did you use your power?" Aurora solemnly nodded her head. Celestia sighed. "Then the allo is dead. You have to be very careful Aurora. You're very strong and can hurt creatures and even people even when you don't mean to. If you don't learn to be delicate then it'll happen again." Well. It was dark and cramped. Why in the... um... what was he thinking? He was sure he had somehow heard it. Either way, he was never this cramped before. A unique urge soon came over him though. He wanted out! He had to get out of this... whatever it was called! He tried to move his... um... legs? Yeah. Legs sounded good. He tried to move his legs, but it was too tight. He could hardly move anything! An idea then came to his tiny mind. His... nose? Snout? He remembers both for some reason. Whatever it was, he used it bump the barrier. He just kept bumping it, over and over and over. Then... light. Bright light. Blinding bright light! Despite the initial blindness, the little being continued to try and break the thing he was trapped in. Soon. He heard something break. Then another thing. He could hear a sound after each one happened. He kept wanting to be free. He kept bumping the barrier until.... The blue scaled hatchling flopped out. There were others like him, but he seemed bigger. And blue. He then heard something. “Cygnus.” What was that. His head darted towards to larger creatures. Did one of them say it? Was Cygnus him? Yeah.... He must’ve been Cygnus! Just then, Cygnus was pulled by one of the larger creatures, and gathered with the other ones like him. He didn’t know why, but he felt... safe. Cygnus soon snuggled up to the other little ones. Maybe they were the same somehow? But he was happy, and a slight blue glow began to come from his body. The wind whipped past him as he pressed on forward through the forest not looking back. He was crying or at least would be if he wasn't in dragon form right now. Instead he was whimpering escaping from the pain they cause him, the pain she caused him. Aurora liked to pick on him when she was board and he didn't want to play with her. She was mean reminding him of his......not yet developed masculine features. He shifted to his human form to prove he was male but she said he still looked female. He had to prove it in a way his father didn't approve of though his mother didn't seem to mind. After that though she still said. "Well I guess you're only female when you're a dragon." His family was so mean he was running away. A whack in the head from a tree branch he wasn't paying attention to as he shut his eyes wallowing over it added insult to injury. But a he preferred the injury than the insults he received. He would live out here now. He was strong. He could hunt his own food. Just how far had he gone anyways? Jericho jumped into the air to have a look around. He grew scared as he realized he had no idea where he was. But pushed it back reasoning it didn't matter if he didn't know where home was because he wasn't going back. As the day drew on Jericho was beginning to get really bored. He started hunting other animals just for fun but then stopped abruptly when he realized Aurora did that often and he didn't want to be anything like her. He wandered about when a sudden laughing voice made him jump and cry out. A 20 foot nightwing appeared behind him further laughing at Jericho's surprise. "Aren't you adorable." He said in a raspy gravely voice. "No! I'm handsome" Jericho said stamping his two front feet together on the ground in serious objection. The nightwing started laughing again and began circling Jericho. "Is that so?" He began thoroughly examining Jericho lifting his wings and and in general making the hatchling feel very uncomfortable. Jericho tried backing away but the nightwing was rather determined. "Hm you're a lot older than your size suggests. Now what would make such a beautiful lady want to say something like that?" "I'm not a girl!" Jericho shouted. The nightwing gave a confused look. "Is that so?" He gave a lick of Jericho's rear underside making Jericho yelp and scramble away. The nightwing was disappointing. "Well you'll still be good for practice." "What?" Jericho said very confused." The nightwing suddenly surged forward and pinned Jericho to the ground which his foot on the hatchlings back. Jericho struggled to no avail but it didn't last long as he was then grabbed by his scuff. The nightwing took off and hauled him into the sky. "Where are you taking me? What do you want with me?" Jericho asked as the panic wore down just a little. Being carried off unable to move with nothing but the wind whipping past and the beating of your captors wings tends to wear off the adrenaline. "To my den to live with my boys. We dragons are rare these days and I want to make sure they are as prepared as possible for the day they come across a female." "I'm not a girl!" Jericho shouted again. "I know but you certainly look like one and a damn good one too. There are ways males can please each other." Jericho had no idea what the nightwing was talking about but was very unnerved. He quickly found out in the first few weeks he was with them though. All he could think about from day to day was how badly he wanted to go home. How he wanted his dad and mom to come save him. Cygnus walked through the snow covered woods, alone. Usually, he wouldn’t be out in the forest himself, but the blue scaled hatchling was looking for his “little brother,” Jericho. Yes, his parents had told him to stay put, but he couldn’t help it. He had to help. Especially when her learned why his brother ran. The little fury suddenly thought back to his argument with Aurora. ”You said what!” Cygnus looked at Aurora, who was sitting around in her human form, with both anger and confusion, but she didn’t seem to be even a little worried. “It’s true,” the girl simply fired back, sounding way too confident with herself. The blue haired boy looked mad before speaking again. ”And I’m big, but you don’t tease me. And now Jericho’s run off!” It was true. Cygnus was bigger than his clutch mates. The comment must have made something finally started to click with Aurora as she tried to defend herself, from what he remembered. Aurora quickly shifted and began to follow, saying “I can hel....” She did not get to finish, however, before Cyg spoke over her. ”No. Jericho won’t listen to you.”Aurora wasn’t about to take no for an answer, and started to come back with “But...,” but she was answered by the blue glow of Cygnus’s ability. A clear sign he would fight her if he had. As the kid thought back on the argument, he got annoyed. He hated fighting with his siblings. Heck, all he wanted to do was help them. But what Aurora said... it made him mad, which made it hard to shift. How could she continue to bully her own brother like that?! If anything, she should have been protecting him. Whatever it was, Cyg kept trudging through the snow covered forests, calling out his brother’s name as he went. He hadn’t smelt his Jericho’s scent, he hadn’t seen him. The blur dragon just climbed one of the trees and curled up there. What if they could not find Jericho? What if one of the big dinosaurs like the Rexes, or maybe even the Allos, got him? What if he found a new family? All of these questions hurt too much to think about. It wasn’t long before the blue dragon realized he needed to go home now if he was going to beat his parents. He darted threw the woods, not even stopping to think about anything else. At least he didn’t until something hard rammed him. The young dragon let out a pained call before turning to see a not too familiar sight. It was one of those bone headed dinosaurs. He couldn’t remember it’s name, but he could tell it packed a wallop! His front leg hurt now. He couldn’t even stand on it! And then he realized the great thing, he was in the middle of a herd of dome headed dinosaurs. The hatchling was just made at this point and started flying. His parents might see him, but he didn’t care at this point. He just wanted to be home. Jericho may not have been there yet, but he needed to be home. He was hurt and tired and just wanted to be home again. So, he flew that way, trying to ignore his foreleg. Once home, the little blue night fury simply limped in the door and found the closest of his older siblings. He quickly jumped in their lap and curled up, notably covering his face with his tail fins. He never saw his parents cry, so he had always figured he shouldn’t either. But right now, tears managed to escape, and they weren’t for his leg. Ok, maybe they were partly for his leg, but they were also for Jericho. He was still out there. "Why isn't this working?" Elara whined as she tried to no avail to tackle Aerouant and pin him. She had been at it for over five minutes now. The Tiny Fury looked down at his smaller and younger adopted sibling. Her seemingly inexhaustible energy levels tended to get on everyone's nerves. Aerouant was the most patient with her, but some days she could be a bit much even for him. "Because I'm bigger than you," he said matter-of-factly, "and because I'm sitting down. It's harder to knock someone over when they're sitting down. It's better to try when they're standing up." To prove his point, the demi god suddenly snapped open his top left wing, pushing Elara away. "Oof!" The unsuspecting Elara was sent tumbling by the pure-blooded dragon with a second pair of retractable wings. She found herself in front of the hearth on her back, staring up at her father. "Hi, papa!" "Hello, Elara." Svadilfare smiled down at his daughter. He was carrying an armful of wood. "Having fun with Aerouant?" "I'm trying to tackle him, but he won't let me!" The half-dragon rolled over and stood. "Neither would Aurelius or Clementine or--"
"--Or anyone else." Aerouant interrupted. "I didn't say I wouldn't let you. I just said you couldn't." He got up from where he had been sitting, beside the wooden table where the family dined, and went off to one of the bedrooms. Svadilfare chuckled. "Well, Elara, what if I let you-- Wait, don't--!" Wood went flying throughout the living area as the Kryoan fell. Svad groaned as his daughter jumped up and down on his abdomen, which was still bruised from a recent accident. He found himself suddenly extremely grateful that Elara was half-human. If she had been a full dragon like Aerouant, she probably would have done more damage with her jumping. Still, she wasn't exactly light as a feather. "Ugh, Elara," he started as he sat up, rubbing the back of his head, "what have I told you about tackling?" "Hmm, don't do it in the house?" she asked, oblivious to the pain she was causing her father. "Yes... And now I shall amend that rule to not doing it when someone is carrying something. Actually, just don't tackle people at all." Svad could practically feel his bruise getting bigger. "Elara, sweetheart, please stop jumping on me." He grabbed her and lifted her off his stomach. "Why don't you go find your mother? Maybe the two of you can go for a nice, long flight... burn off some of that energy." He set Elara down and pet her head, then got up and began picking up the wood. "Okay..." Elara got a little sad and for a moment her boundless energy seemed to finally falter. Unlike her four clutchmates, Elara couldn't shift to her human form. Even though a few trusted individuals had been made aware of Celestia's true nature, and by extention, that of her and Svad's children, Elara couldn't go into the village. While her siblings ventured around Kryo, getting to know the human side of their world, Elara had to stay close to home. If she went outside to play, she had to stay where Svad could see her--if he was home--or else play in the woods. Celestia was a dragon but had chosen a human life and had the power to blend into the human world. Svadilfare was a human but thanks to Celestia and her gift of a red Moonstone, he too could blend into a world he wasn't born in, if only for a short time. And then there was Jericho, Cygnus, Aurora, and Andromeda. They were like her, a mix of the two worlds. They could go to any one they wanted... except her. Because of her condition, she was forced to stay home. Aerouant was the only one who understood how she felt, because he too couldn't venture out into the human world. 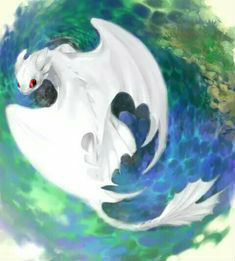 Though his reasoning was simply because he was a full blooded dragon, one who lacked the power to change his form. But Elara wouldn't let this bother her too much. She just knew that one day she'd be able to join her siblings among the humans. Soon, her tail was wagging again... until her father told her to stop jumping on him. She'd forgotten that he'd hurt himself a week ago. "Sorry, papa..." said said with an apologetic look in her green eyes. But almost instantly, she perked up again when her father mentioned going for a flight with her mother. Even though Elara preferred to spend time with her siblings, she enjoyed time with her parents as well. As soon as her father put her down, Elara bounded off to find Celestia. She searched the whole house--which didn't take long on account of its small size--but didn't find her. Her mother must have gone out to the village. Elara went outside and bounded toward the woods. At least one of her siblings must be out here; she'd just find and play with them until their mother came back. The Pride of Kryo walked to the home of his father, the chief's axe secured on his back. It had been almost a year now since Leonidas discovered the truth about his daughter-in-law. A bitter-cold wind swept the freshly fallen snow around. The delicate frozen water clung to Svadilfare's furs. By the time he reached his father's house, he looked more like an upright-walking bear that had wallowed in the snow. A thin layer of ice covered the ground around his father's home; it cracked under the weight of the warrior-assassin. Svadilfare removed first his fur-lined boots, then his fur cloak. The latter, he laid on the ground. Next, he placed the axe atop it so as to keep it from sticking to the snow and ice. Then, he knocked on the door. A few moments later, it opened to reveal Kryo's chief. Leonidas looked at his son, then at the axe at his feet. Without a word, he turned around and closed the door. Even though the door hadn't been slammed, the force with which it was closed still caused snow to fall from the roof. Svadilfare removed his deerskin shirt, rolled it up, and set it down on the cloak. He then sat down--not also on the cloak but on the cold, snow-covered ground--and waited. Three hours passed and still Svadilfare sat outside his father's house, unmoving, the upper half of his body bare to the elements. His lower half froze within his soaked, ice-cold pants. One might expect him to be dead or at the very least violently shaking; their expectations would not be met. The chief's son was not called the Pride of Kryo just because of his skill in combat. He could sit outside in the harshest of snowfalls and seem relatively unaffected. Some said it was good breeding; others thought it was simply because he underwent intense training as soon as he was old enough to stand. Whatever it was, it allowed Svadilfare to sit here as long as he had thus far. And he would continue to sit here until his father allowed him to come inside. A good bit of snow covered his head and shoulders. When a gust of wind kicked up, the accumulated snow was blown off of him. For a short time his bare and frozen skin was pelted with the weaponized precipitation; it felt like tiny, sharp kinves grazing him... at least it would have if he still had any feeling. After the wind died down again, the snow started to gather once more. And so it went for the next two hours. It was only when Svadilfare had been sitting outside his house for exactly five hours, that Leonidas spared a thought to him. The Kryoan chief had spent the last few hours pouring over parchment; he read reports from smaller settlements that relied on Kryo's warriors for protection and aid; he stared at his maps, making adjustments to some and expecting others to magically change before his eyes. He glanced up at the fire burning in the hearth every so often, more specifically the wood. He knew how long it took a typical piece of kindling to burn down to embers. He used that time, added to how many times he had added a new log to the fire, to judge how long it had been since his son knocked at his door. It had been three and a half so far. Leonidas settled into his chair by the hearth. A wolf pelt made it more comfortable, but did little to lessen the weight of the chief. The wooden chair groaned and creaked in protest, threatening to finally give in to the sweet release of death. But alas, today was not to be the day... As much as it hated the weighty man seated upon it, it very much enjoyed the company, to be used as more than a holder for the stinking pelt draped over it. For a time, the only sounds in the Natura-Avedon house was the crackling of the fire and the howling of the wind outside. A shawm sat on the floor at arm's length from the chair; Leonidas found himself looking at it. He leaned over slightly--much to the disdain of his chair--and grabbed the woodwind instrument. He ran a hand along the shawm, refamiliarizing himself wih the feel of it. It had been decades since it was last played. Leonidas brought the instrument to his lips and began to play. Beneath the raging winds of the early evening snow storm, Svad could just make out music. It was his mother's shawm. Katharine Elizabeth Natura-Avedon had loved to play music for her husband and son. She would play and they would sing. Sometimes Leonidas would take the shawm from her and they would dance in the light of the fire. Sometimes Svadilfare would try to play while they danced. As the man sat there in the waxing light of the rising moon, he ever so slightly smiled. Some of his happiest childhood memories involved his mother and her music. As he listened to the decidedly horrible-compared-to-his-mother's music, Svad shook the latest accumulation of snow from his body. He closed his eyes and imagined his father's atrocious playing was instead the soothing melody of his mother's. He became lost in the memory of it, thus unaware of his father's presence until he felt the unmistakable chill of a blade against his throat. His eyes shot open and he looked up at his father. Another log was added to the fire. The flames devoured the water dripping from the deerskin pants hanging above them. It licked at the edges of the Svad's shirt and the heat of its coals enveloped his cloak, chasing away the moisture. The wolf pelt that usually adorned the chief's chair instead covered his son's shoulders. Svadilfare stared in silence at the flames, holding a wooden mug of hot water in his hands to warm them. In his chair, Leonidas sharpened his axe, slowly dragging his whetstone along the edge of the curved blade. Svadilfare loathed the sound but didn't show it. An hour of silence passed between father and son before the latter finally spoke. "There are five; three girls and two boys. Andromeda, Aurora, Elara, Jericho, and Cygnus.... Celestia wanted names that belonged among the stars. They can't make themselves human yet, but... I want you to see them, Father. Before they are old enough to associate you with... hatred. I want them to hear you and smell you... and see you... and know that this is their Grandfather. That he--that you--accept them as they are." A half hour passed before Leonidas spoke. "You took good care of my axe. It hardly needs any sharpening." "Then why do you torture me with how you drag that whetstone across it? It's a wonder that thing was sharp at all." "You prefer my hand, boy? I should think your body has suffered enough this day." "You're getting soft in your old age, Leonidas. There was a time I would have been made to sit out there until dawn, given a few scraps, perhaps permission to choose a new place to sit, then left until the waning hours of last light for good measure." Svadilfare suddenly found himself pinned to the ground, his cup spilled, and a sharp pain in his left side. Leonidas had risen from his chair with no less swiftness than a cat pouncing upon its prey. He pushed his son over with his foot then knelt and drove a dagger into him, just between his last two ribs. The blade went only deep enough to make any significant movement, like wielding a weapon or lifting a child, incredibly painful. "Speak to me that way again and it'll be your arm next." Svadilfare dared not so much as wince. He did not so much as bite his tongue while his father's dagger pierced his flesh. Even his voice was void of any indication of pain when he replied, "Forgive me, Father. The cold affects the mind as well as the body. I forgot my place for a moment, but it will not happen again." Leonidas carefully removed his blade from his son's side. He then pulled him back up into a sitting position, albeit a bit roughly, then got a few strips of cloth. After the wound was patched up, Leonidas returned to his chair and to sharpening his axe. "That amount of time was fine when you were a boy," he began nonchalantly, as if the last fifteen seconds had never happened, "it harded you to the harsh reality of this world. You adapted to a cold climate others would perish in. It shaped you into the warrior you are. But now, you are a father. To have you endure the training of a child would be cruel." Only a Kryoan would find no fault in this statement; only Leonidas could say it with such casualness. "I'm grateful for your thoughtfulness, Father." Svadilfare pressed his right hand against the cloth that covered his wound. He moved a little closer to the fire and lowered the tip of his father's dagger--which had been left unwiped with him--into it. When the blade had been heated enough to turn red, Svad removed it and pressed against his still-bleeding wound. He grunted lightly, exhaled sharply through his nose. But otherwise, he made no sound, showed no sign of weakness before his father. After the wound had been cauterized, Svad retied the strip of cloth about him. He then cleaned the blade. "You were playing Mother's shawm." It wasn't a question. "Molding you into an unrivaled warrior, leading the village... That's my gift. Music... music was your Mother's." "...And loving you, of course." Leonidas looked at his son as he ran the tip of his thumb over the edge of his axe, testing the sharpness of it. "Of course." Seemingly satisfied with his work, he set his axe aside. "She loved that shawm more, I think." "I remember she tried to teach you." "Yes... What was it she likened it to?" Svadilfare chuckled at the recollection, "'To teaching a horse to wield a sword'." "Hmm. Do you remember the last time she played for us?" Svad shook his head."No. But I remember her favorite song." Leonidas grabbed the shawm and handed it to his son. Svadilfare took it. Like his father some hours ago, he ran his hand along it. And then he brought the instrument to his lips and played. The sounds of a burning fire were drowned out by the melody. One would not think the woodwind instrument could produce an enjoyable song, what with how harsh a sound it made. But with the right hands, the listeners might be entranced, perhaps even soothed. Thanks to his father, Svadilfare's hands were crafted for bloodshed, war--far too strong and brutish for a thing as soft and kind as music. But he had his mother's heart and was not too far gone in his father's teachings. And it didn't hurt that he also had his wife, who had softened him and breathed new life into a side he had lost. With these, he could manage and played wonderfully; he was no Katharine Elizabeth, mind you, but certainly better than Leonidas. For a good while, maybe a half hour, perhaps less, Svad played his mother's favorite song. (https://m.youtube.com/watch?v=7KZwzFMefU8) By the time it concluded, father and son had reconciled in their own, unspoken way. "They're fine names," Leonidas had said the next morning as Svadilfare prepared to return home. "Perhaps... I will see them." Svadilfare had only nodded in response before taking his leave. Time passed too quickly and children grew too fast. Sarik Wulfric Milos Natura-Avedon, past chief of Kryo and grandfather of the future chief, passed. The village mourned for a week. He was buried in the family's grave site, which happened to be in the center of the village. As per the custom for the death of a member of the founding clan, a temporary shrine was erected and within it, the favored weapons of the former chiefs were placed. Sarik's had been a pair of flanged maces. On a brighter note, Leonidas had indeed visited his new grandchildren and come to accept Celestia again. However, he typically avoided her whenever she was in her dragon form. The bigger, half-dragon-friendly house Svadilfare had built six years ago was a little emptier now. His oldest children, adopted sons and daughter, Leonardo, Alexander, and twin sister Ameila, had grown up. Leo was 23; Xander and Ami were 21. They went to live their own lives. The last he heard, Leonardo had gone to Anthropinos; Xander had gone to explore the other continent; Ami had returned to Brysur and lived in the house she and her two brothers had been born. Aurelius and Clementine had grown as well. The boy was now 16. No longer little, Clementine was 11. Celestia, though she loved the new house and bed she could actually lay in as a dragon, had wanted to move from Kryo. Svadilfare, after giving it some thought, decided he wanted to stay--at least a few years more. After all, his wife and hybrid children were safer here. A select and trusted few had been told of Celestia, had been shown her true self. Naturally, they had reacted in much the same way as their chief, at first. But fear of their chief--and more rightly so their champion--kept them from uttering a word to another living soul. Celestia had been paranoid, wary at first--and maybe she still was--but after six years, how could she question the integrity of their word? Nowhere else could Cele and her children live among humans and say more than their mate and father accepted them. Nowhere else might they be protected by more than Svadilfare if they were exposed. And, as Svad liked to point out, Kryo was perfect for those who liked to cuddle, what with it being so cold. Celestia's human skills had also greatly improved over the past seven years. Svad was almost ready to let her come with him on a job. For most of the elapsed time, Svad had stayed home, encountering only a few instances in which he absolutely had to leave. But once their children were old enough to fend for themselves, he intended to return to taking assassin jobs. This morning, however, Svadilfare was staying right at home. Staying in bed would have been nice, too. The warrior rolled over, expecting to feel Celestia's warm and sleeping body, to smell her earthy (slightly dragon-y?) scent. Instead, his right arm was met only with the bed beneath him. His eyes opened to find was alone in the bed, indeed alone in the room. He smiled a little. The day Celestia was up before him was always a good day. Svad got out of bed, dressed, and grabbed his Moonstone before going in search of his wife. It was around breakfast time, so he decided to start in the dining room. Svad had constructed the house with wood and stone. The walls were all stone, except for those in Svad and Cele, and Clementine and Aurelius' bedrooms. There was a room in which even the floor was stone; this room Svad had designed for his hybrid children to test out their breath attacks. They also seemed fond of using it as a place to sleep when it was particularly cold. They'd heat the floor with their breath. The living area had a hearth, a tapestry on the wall. A Great Wolf pelt covered the floor. Svad had come across one of the beasts, already dead, and decided to take the pelt. There was a room for bathing; it hosted a shallow pit in the middle of the floor in which a fire could be made. One could then heat stones and place them in the wooden tub to heat the water. After checking everywhere else, Svad found himself in the dining room. There was a hearth for cooking food, a now-too long table to seat a family of 12. Herbs and smoked meats hung from the rafters. Svad found Cele here, already cooking. He smiled and walked up behind her in his usual stealthy way. Assuming she hadn't suddenly honed the skill he had taught her for detecting someone trying to sneak up on people, Svad closed the distance and wrapped his arms around her. "Good morning," he said with a kiss to her right cheek as he brushed her hair back. "Something smells good. What are we having?" As they cooked, the room was filled with the smell. It made Svad hungrier than he had been previously. It also held the power to gather his children without him needing to call them... Of course, this worked out better if they were actually home. Aurelius and Clementine were. The siblings wandered in, clearly having just awoken themselves. They greeted their parents and sat down at the table. While they waited, Aerouant, the young NightWing, wandered in with a fish in his mouth. Like Cele, he loved spaz fish; he often went to catch some. As Aerouant settled under the table to eat, Andromeda came in. She was in her human form. She went up to her mother and inquired about being a demon. Svadilfare looked up from what he was doing. Andromeda preferred to talk to and spend time with her mother, so typically Svad wandered off or stayed quiet. But he found this question quite troubling and couldn't help but ask, "Why would you ask something like that, Andromeda?" He walked over to Cele and looked at his daughter. He wondered suddenly if her she had been caught changing forms by one of the villagers. Or did she just simply think this? Did any or all of her siblings think the same thing? Aurelius and Clementine looked at each other and frowned. Andromeda, more than the others except for Jericho, spent a lot of time around humans. Maybe one of them had said something about dragons? 3 months later they managed to find where Jericho had been kidnapped. She barely even bothered to question them and just went straight to the murdering. Mercy wasn't in her vocabulary not when it came to her family. It was a far tougher fight than it should have been. Even without her powers she should have been able to take them all down all on her own. She had noticed though over the years she had steadily been growing weaker. She couldn't figure out why, but didn't think it was a big issue. Recently though it had been getting a lot worse. If Svad hadn't been there with her she would have surly died. Still even for Svad, taking on dragons is no easy feat. The both of them left with many wounds Celestia especially having been falsely considered the primary threat. Jericho had also been screaming about the blood shed shouting "No don't kill them." He was incredibly sad afterwords but only because they were all dead. Celestia suspected it was a case of Captive Syndrome where the brain forces attachment on their captors as a method of copeing with the stress. Painfully they all managed to make it home in one piece but the celebration didn't last long. The wounds combined with Celestia's weakening state even after Svad healed what he could had left her Ill. She was running a high fever, a never ending migraine, and severe fatigue. Thankfully a full month went by and the speed at which she was getting worse thankfully did not maintain it's pace, but nor was she getting any better. Her children and mate were so sweet taking care of her. Svad had things to do though. She used what strength she had to fake getting better to get her mate to get out of the house and stop worrying about her. It worked in the sense it got him out of the house. The day came however she was feeling especially weak. She could hardly even open her eyes and was stuck to the bed. Somehow she knew today she was going to be dead and soon. Before she had been content that if she should die she would have no regrets. Better to die a mortal death than to live forever and watch everyone you love die. Her heart wouldn't be able to take it. She'd likely take her own life in the event. Celestia especially couldn't imagine life without Svad. He ruined her by spoiing her, giving her children, and loveing her like nobody else before. Nothing else in life compared to that. Now however at deaths door utter panic took over. No long did she want to die, suddenly she was desperate to live and she could think of only one thing that could save her. Desperately she clawed out both in her mind for magic and with her hands at her collar searching for any sign of magic or way to break the physical representation of the seal. She knew there was only two in the world who could release it but she tried with everything she had all the same. Now in a different way she accepted she was going to die. She had to speak what she thought and what could be her last thoughts. "So this is what it's like to die as a mortal. I really had gotten too comfortable being an unkillable goddess." Three months felt more like three years. Svadilfare could not remember if he had slept in all that time; that is how little he had slept. The search for his son, Jericho, had been exhausting for the whole family. The other children worried as much as their parents and slept almost as little. But finally, they found him. Celestia didn't bother with questions, not that Svadilfare had been particularly interested in details at the time. The fight went about how the Kryoan expected, considering both he and his wife were mere mortal humans. Well, he was, anyway. Cele was just mortal. They had many wounds but luckily, Celestia had been teaching Svad healing magic. He healed what he could and tended to the rest normally. "No rest for the weary" was never truer than when applied to the Avedon clan. It was not long after the family was whole again that Celestia fell ill. Svadilfare left his wife's side as infrequently as possible for one who had eight children to care for. Fortunately, after a month, Cele was starting to get better. How did Svad know? Cele insisted that he leave the house. He did so only because needed to, his duties to the village having piled up. But he steadfastly refused to not worry about Celestia. However, his stubborness on this matter wasn't unfounded. Cele took a turn for the worse one day. Svadilfare awoke that morning to find his wife very sick. He was too afraid to leave the room and didn't want to alarm the kids, so he stayed with her. For a couple hours, the Kryoan held his wife in his arms, gently petting her head as he wracked his brain trying to find a way to help her. The ever-present threat of the monsters, the unending depression of his mate, and the truth of his Goddess had taken their toll on the Twilight King. Though the small group of ElderWings that had come to their aid offered to keep watch, Baldirak didn't sleep well. He preferred to keep vigil over the Ebonwing Isles at night himself. If he happened not to, he was always at Kenina's side, taking small comfort from just being beside her. The warmth of her melted away the pain and worry and problems of the day. One day, while Baldirak rested, he felt... something. It was exactly the same overwhelming feeling he got when Astral died. It was if he were being summoned. But unlike before, Baldirak did not answer the call. Firstly, Astral was living among humans. Second... while Baldirak had not yet decided if he would return her favor and abandon her, or renounce his status as Prophet of Knowledge, he was certain of his pain. Not even the humans had inflicted as much pain on the EarthWing with all they had done as his Goddess had with a single act. The stronger the call became as the weeks passed, however, the more the EarthWing considered reconsidering. Could he really ignore another dragon in need, even one who had done so themselves? His foremost decision was left alone for now, but Baldirak ultimately decided not to seek out Astral. Three weeks passed and Celestia's condition didn't improve. One day, she seemed particularly weak. She could barely open her eyes, let alone move. The thought of his beloved wife dying was something the Kryoan warrior had pushed to the furthest reaches of his mind. But Celestia decided to verbally bring attention to the fact that her life was nearing its end. First she reached for her collar, clawing at it as if her life depended on removing it. Then, she spoke. Svad frowned at her words. "Having almost died myself once, I can tell you that it's not great. But you aren't going to die today. I love you too much. If I had to wake each morning knowing you'd no longer be there, I would not be far behind you.. And where would that leave the children? So I'm going to give you back the life I never wanted you to give up in the first place." Svadilfare laid his hand on her collar and closed his eyes to focus on what he needed to do. Celestia had told him once how to return her powers to her, by breaking the seal, which happened to be her collar. Svad reached out with his magic, trying to imagine the seal breaking. Elsewhere, the Prophet of Knowledge was laying with his mate, gradually summoning up the strength to get up and see to his duties as King. His right foreleg was being rather bothersome this morning. Suddenly, the feeling he had had for the last three weeks increased tenfold. The Goddess of the Moon and Stars was at the gateway to Nimbus' realm. He felt oddly compelled to stand and forced himself to do so. Then, he left the den he shared with his mate and went to the one he had reserved for his worshipping. He had not entered it since the day Paradox and Astral came to him. Now he went inside and stepped into the Knowledge Circle. The Moonstones seemed dimmer than normal, though Baldirak had specifically chosen the cave because of the hole in the ceiling allowing sunlight in. The EarthWing closed his eyes and felt... strange. It was not unlike the feeling he had when his demi-god powers had awakened. Yet this felt different somehow. Suddenly, he saw a collar with the unmistakable symbol of Astral on it. For some reason, he wanted to break it... but not out of anger. Out of... desparation. And then Baldirak felt himself bristling with magic, magic he didn't have. It seemed to have a purpose to it, to be drawn to the collar he was seeing. He also sensed something. It was the same magic, but weaker, significantly weaker. Svadilfare, as he continued to work at breaking the symbol, felt something. It was almost as if someone else was trying to do what he was doing. But at the moment, he couldn't focus on it; all that mattered was saving his wife. Between the two of them, Celestia's human mate and her dragon prophet, the seal was broken. Celestia was both glad and sad to have her mate there for her at her final moments. Glad for her own selfish reasons that even at the end of it all he was there for her. Sad that he would have to witness her death. Her eyes closed and she was sure it was the end, but Svad wasn't willing to allow her to die. While magic often took physical forms and the breaking of that magic would break the object, it wasn't necessary and was most common among those who were not yet masters of the art. One of the weaknesses was if that object broke it would also break the magic and so Celestia's seal wasn't bound by physical laws. Instead as the seal broke the unfathomable power burst from the symbol to any magic sensors it's concentration was so pure it would seem to take physical form. Colors never before seen as they have no parallel in the physical plane of existence. Their description a void no words could fill and they took shapes the mind had a hard time comprehending. Just as soon as it exploded from it's prison encompassing the perceivable area It just as quickly was absorbed by Celestia's body returning to it's long separated point of origin. The change in Celestia was quite noticeable. While before she was sick and at deaths door now she was in peak physical condition or even more so. Like instantly spotting a noble from the way they dress and act you could instantly tell a new or rather an old regality was about her. At the same time in another room there was a scream from one of her children. Celestia jumped out of bed and out of habit ran out of her room and quickly made her way into Jericho's. He was stood up in his bed wide eyed staring at his own hands as if there was something terribly wrong with him. "Honey what's wrong?" "Mom?" Jericho's face lit up when he saw her and jumped out of his own bed to hug her. "Mom!" "It's ok, it's ok. Did you have a bad dream?" Jericho completely ignored Celestia's inquiry. "Your not in bed? Your fine? Your not sick anymore?" Celestia laughed "Yes I'm fine. I got my powers back." Celestia had told her children that she was a former goddess but had given up her powers. They didn't understand it too well much like her mate. Some of them probably thought she was joking like when she said she has eyes in the back of her head and that's how she knows when they are up to no good. It was about this time that the other children had made their way into the room and each had their own shocked greeting and exchange with their mother. Once everything had calmed down Celestia had brought her attention back to Jericho. "What happened?" "I don't know I just feel like I'm going to explode or something. It's like after I have a lot of sugar but my hands aren't shaking. Am I having a heart attack?" Jericho asked worriedly. Celestia put her hand on Jericho's head and reached out with her reacquired magic to investigate. What she found was admittedly startling. Her children saw this in their mothers expression and grew worried. What she found was an endless pool of energy one that felt remarkably like her own but just a few smidges different enough to be unique to him. "Everything's fine." She reassured confidently and was relieved herself. Celestia turned to her mate. "Jericho's power has just awoken. He's sharing my endless supply of magic." "What's that mean?" Andromeda asked. "Gods don't have a limit to the magical energy they have in them like everyone else does. They can manipulate magic all day and not even begin to tire. Jericho's power is he is able to use my magical energy as his own." Aurora shouted as shocked as Celestia had ever heard her. "You were serious you're a god!?" "Yes I was really a goddess before any of you were born and now I am one again." So much was going to change now but she wasn't going to let that ruin the moment. "Thank you." Celestia said to her mate with the appropriate grateful undertones. Cygnus was sleeping (Ok. Trying to sleep.) in his dragon formed, curled up and buried in his blanket. The young hybrid's arm had healed up pretty well, and he was happy that his brother, Jericho, was back. It was all good, but he had noticed that his mom wasn't doing good. She had started to not get out of bed, and looked sicker every time he saw her. It was really worrying him. It was then that he heard a scream. It was Jericho! Had Aurora pranked him again? He quickly shifted to his human form, heading to his brother's room. Aurora, Andromeda, and Elara had already begun to run into Jericho's room. Ok. Aurora didn't look like she was up to anything, but why was their brother screaming then. It was then that Cyg's mouth just dropped. "Mama!" The boy jumped at her, wrapping her legs in a little hug. He smiled looking back as his mom asked what was going on with Jericho. It worried him for a moment, though he got confused watching his mom. What was she doing? How would holding her hand up help?! But then she said something about unlimited magic. Her unlimited magic? Then Aurora asked the question that was on his mind too. Their mom was a goddess! Awesome! He then looked at Aurora with a smirk. "I think this means Jericho will be stronger then you." It took a minute for Svadilfare to realize Celestia had left his embrace. He was in a sort of... trance. He just seen something he couldn't explain and wouldn't have believed if he hadn't have just seen it for himself. He saw colors with a clarity he had never seen, colors he had never known, colors he didn't realize existed and was sure couldn't possibly... And yet there they were. He also felt a power he couldn't comprehend. Then it was gone. Everything was normal again. And Cele was no longer in the room. Elara was curled up by the hearth with Aerouant, sound asleep. Well... she was until one of her siblings decided that no one should ever be able to sleep again. Elara and Aero ran to Jericho's room... and right into Cele. Wait, why was her mother up and about and not looking sick? Her father had said she was very ill... "Mama!" Tiny Fury Sandwich time! Elara clambered up her mother's back and licked her cheek. Aerouant decided to clamber up the front and lick her other cheek. They hugged Cele as best as dragons could hug while they covered her face with spaz fish-scented slobber. By now, Svadilfare had came to the room and was standing in the threshold. He leaned against the doorway, watching his children as they surrounded their mother, showering her with more hugs and affection than even a goddess could handle. Svad only entered the room fully when Cele turned and spoke to him. He was as curious and surprised by what she said as the kids were. "Endless magic, huh? That should be fun," he replied somewhat sarcastically at the thought of a child having such power, and the havoc that could come from it. He walked over to Jericho and touselled his hair. He added with a chuckle "But not too much fun, hm? I'm glad you have your power, finally. Actually, I think that was my doing." Svad turned back Celestia and smiled, giving a light nod as he reached up and ran a hand through her hair. "You're welcome." He chuckled at Cygnus' comment to Aurora. "So what now?" he posed more to everyone than just to Cele.